There are very few, if any, people who can claim they were born with “perfect” teeth. 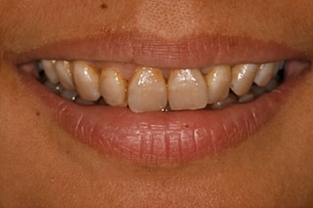 Chips, gaps, misalignment, misshapen teeth, and discoloration are common concerns. As a result, many patients seek to improve the look of their smiles. Porcelain dental veneers from Dr. Donian Shen, our experienced cosmetic dentist, can address a wide range of issues with beautiful, natural-looking results. If you feel self-conscious about your smile, or if you desire the most aesthetically appealing look possible, we can help you achieve an outcome you’ll be proud to show off. Comprised of a durable porcelain material designed to look and feel like natural tooth enamel, dental veneers are very thin shells that fit over the front surface of your existing teeth. They are custom-made to suit your dental needs and cosmetic goals. Since the shells cover the entire front of the tooth, veneers can address a number of aesthetic and functional concerns. Furthermore, the high-quality material is long lasting, metal-free, and stain resistant. There are many benefits to updating your smile with porcelain veneers. It’s important to understand, however, that this is considered a permanent procedure due to the tooth shaping. These two procedures, porcelain veneers and dental crowns, are typically used to achieve different goals; however, there are times when patients may have a choice between the two options. The techniques overlap when it comes to cracks and damage of the tooth. If a crack, chip, or weakness is primarily located in the front (visible part) of the tooth and is relatively minor, a porcelain veneer may be a less aggressive treatment than a dental crown. Generally, though, veneers are used for cosmetic purposes while crowns are applied to restore function. Dental crowns are most commonly used after root canals to strengthen and support the tooth structure that remains. They are also used to cover dental implants or to support a cracked tooth. During your initial consultation, our dentists will go over all of your options and provide guidance as to which one can provide the optimal outcome. The final decision will always be yours. 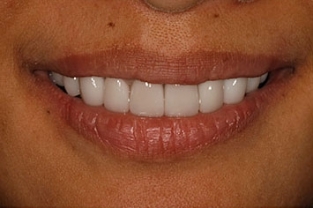 Lumineers are a type of porcelain veneer that many patients like for its ease of application and appealing outcome. Like all porcelain veneers, Lumineers can cover chips, cracks, gaps, stains, and other common concerns. What makes them special is the minimal preparation that is required. Minimal drilling and shaving is needed—sometimes none at all—and some patients find they need no numbing injections. The ultra thin shells are natural-looking and still extremely strong, so you can expect a similarly beautiful result. For these reasons, you may wish to have Lumineers for the increased comfort during the procedure. Your care, comfort, and understanding are important to Dr. Shen and our entire dental team. When you arrive for your initial consultation, we will walk you through each step of the dental veneer process. Once Dr. Shen evaluates your dental concerns and discusses your cosmetic dentistry goals and personal tastes, she will develop a customized treatment plan that can optimize your outcome. Advances in dental technology have streamlined the porcelain veneer procedure and now allow us to maintain as much of your original teeth as possible. We can gently reshape your teeth and then apply veneers that are ideally matched to suit the color and form you desire. The entire treatment will generally require two visits to our office. At the first appointment, a mold will be taken of your smile to help guide the process and ensure the most natural-looking and comfortable result possible. Dr. Shen will also prep your teeth for the veneers and have you select the shade of white you want your new smile to be. 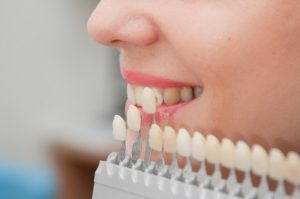 At the second appointment, your teeth will be cleaned and the veneers permanently bonded utilizing leading techniques and materials. Do Porcelain Veneers Require Special Care or Maintenance? Caring for your porcelain veneers is much like caring for your natural teeth — because they are your teeth! Brushing, flossing, and routine check-ups should be a regular part of your oral hygiene practice. Dr. Shen will provide any additional instructions during your final consultation. Dr. Shen is dedicated to providing a beautiful and lasting result, and most patients can expect their veneers to continue looking their best for about 10 to 15 years, depending on care and other factors. You can help ensure the highest quality form and function of your veneers by brushing and flossing every day, and seeing your dentist regularly. We can provide other tips for keeping your veneers in top shape during your consultation. When your veneers begin to wear down (or should damage occur), we can replace them so your smile never suffers. The cost of porcelain veneers will vary depending on the number of veneers you need, the complexity of your treatment, and other factors. According to the Consumer Guide to Dentistry, the average price of porcelain veneers can range from about $925 to about $2,500 per tooth. These numbers do not necessarily reflect the cost at our practice. We will discuss the estimated price of your treatment with you before beginning the procedure, so that you are well-informed about the expense in advance. We believe this allows our patients to make the best decisions based on their needs, goals, and budget. If you would like to know more about porcelain veneers, contact us today. Our friendly and knowledgeable team is ready to answer questions or help you schedule a complimentary consultation with Dr. Shen.